Banquet Tables Pro® modern knockdown highboy table with a stainless steel top & chrome base. 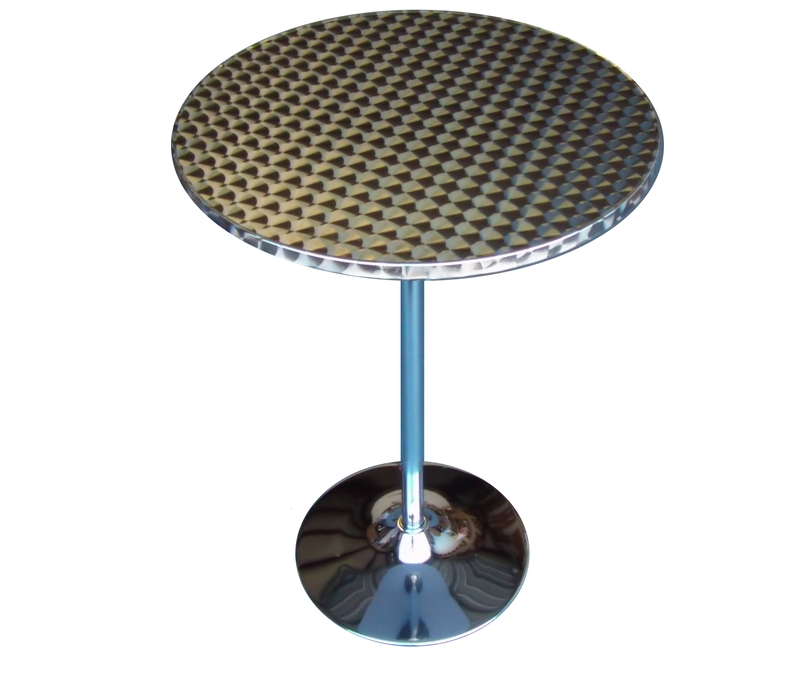 This portable table is available in 24" diameter & 28" diameter top sizes. It features a swirl design stainless steel top, and chrome 42" height trumpet base. Give your next party, event, trade show, or wedding a modern look with these modern bar height cocktail tables.